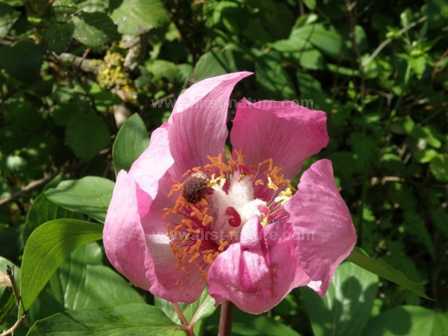 Wild Peonys are becoming increasingly rare due to so many of them being dug up and transplanted into gardens. At one time peonies were grown for rather dubious medical purposes but nowadays they are mainly grown for decoration. The flowers are beautiful but shortlived, which makes them most unsatisfactory as cut flowers. 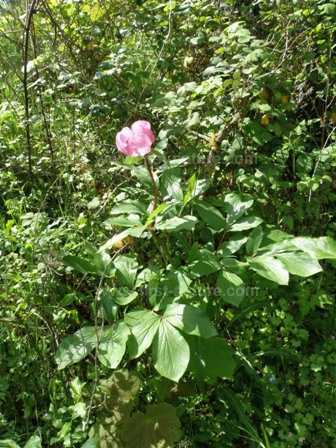 The Wild peony is a member of the Peony family (Paeoniaceae) and is present in the western and Central Mediterranean from France to Greece, although not in the Aegean Islands or Crete. Crete has its own endemic wild peony - Paeonia clusii. The specimens shown on this page were photographed in in the Gargano Peninsula area of Italy in April.